The Cook County Government Fellowship is a summer internship opportunity in Chicago for graduate students to develop leadership skills, create a civic network and have a lasting, positive impact on Cook County. Within the context of a structured learning environment. Applicants will be notified during the month of June if they have been invited for an interview. All eligible youth who are not offered an initial interview will be placed on a wait list. We encourage youth also to explore the learning opportunities offered through the Chicago City of Learning. DCASE will be posting several paid and unpaid internship opportunities for college students in the near future. 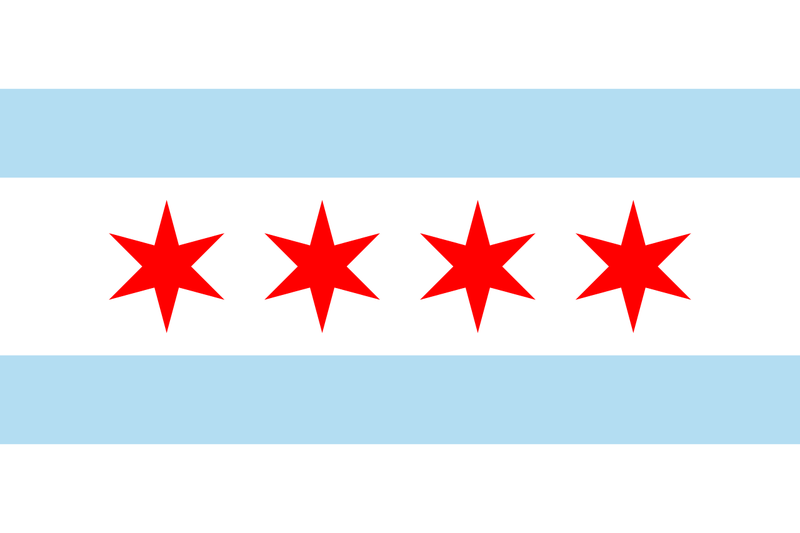 Please keep an eye on the City of Chicago’s website at www.cityofchicago.org/careers to apply for specific DCASE internships and to apply to the general pool of City of Chicago internships. 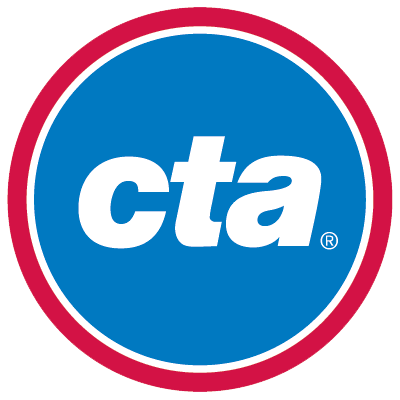 The CTA Second Chance Program gives ex-offenders and those facing other barriers to employment an opportunity to obtain full-time, temporary employment and training through 265 CTA bus and rail car service positions. The program is offered in partnership with the City of Chicago Department of Family and Support Services and 13 of their delegate agencies. How to Apply: Job seekers must actively participate in one of the 13 designed agencies work readiness program. 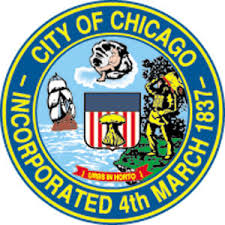 Eligibility Requirements Qualifications: Reside within City of Chicago; be 18 years or older; active participation in one of the 13 listed agencies work readiness programs. 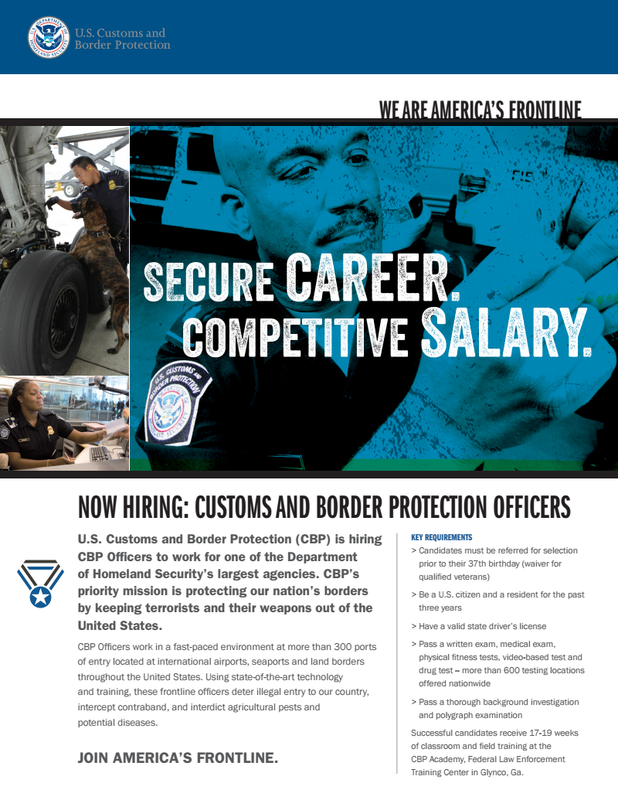 Restrictions: Only individuals who have committed non-sexual, non-violent and non-domestic criminal offenses are considered for the available positions. Job seekers are required to be released from: work release center, house arrest (wearing metal band/bracelet), drug/alcohol program. Questions? CTA Second Chance Hotline 312.681.2293.
Who May Apply: Recent graduates from a qualifying educational institution having completed an academic program within the preceding two years. Note: Veterans who were precluded by their military service obligation from meeting this requirement will have up to six years to apply. 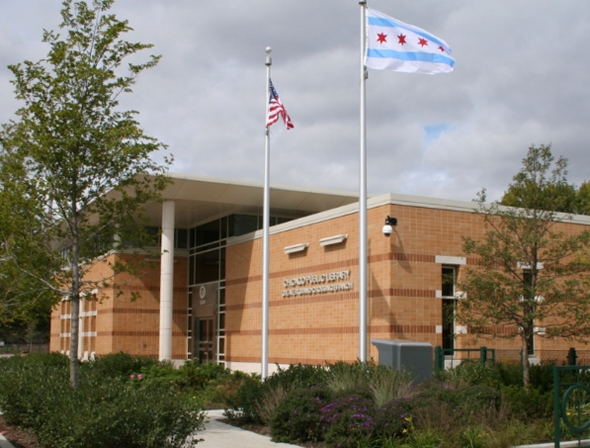 The City of Chicago Department of Cultural Affairs and Special Events (DCASE), working with the Chicago Public Library, invites professional artists to submit their interest in a public art commission for the new Greater Grand Crossing Branch Library. This commission opportunity is to create a site-specific artwork that responds to the community’s clearly stated desire that the public art for their library be reflective of intellectual curiosity, creativity and a thirst for knowledge expressed in a visually sophisticated manner. Uniquely, this library is a partner in Pocket Con, a comic conference held in the neighborhood for Chicago teens and focusing on underrepresented populations in the comic genre. The local youth and parent awareness of Anime and graphic novels is high. All media will be considered but it is essential that it have low maintenance requirements. The panel has identified the large wall in the main entry and the “frieze band” wall sections immediately over the bookshelves in the Reading Room as primary sites for consideration. There is also an outdoor reading garden. Artists may propose for any public area of the library and grounds. The panel will select semi-finalists in May 2015 who will be paid honoraria to develop proposals by August with finalist being selected in September. Installation by the commissioned finalist is expected within one year of contracting. 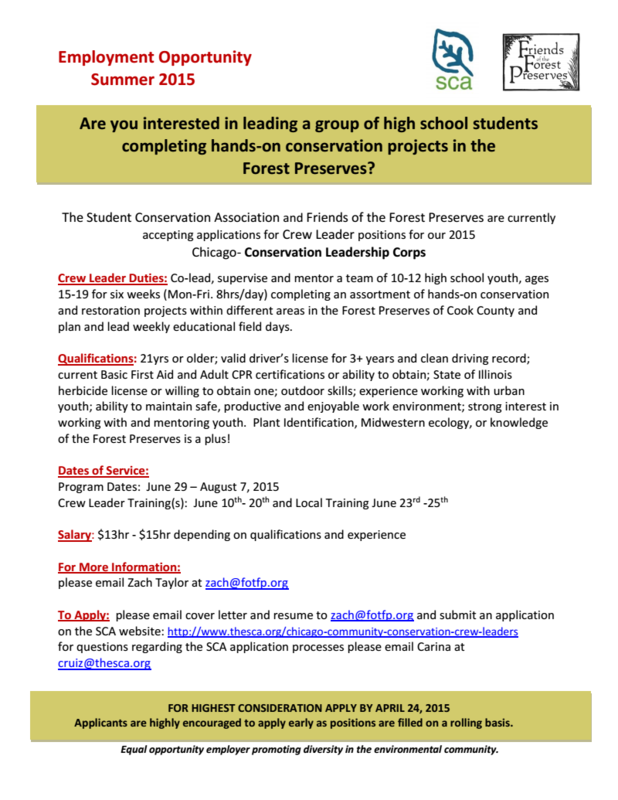 Application deadline: 10:59pm CST, June 14, 2015. For more details and to apply, please visit www.callforentry.org (CaFÉ). Please note: If you have previously submitted materials to DCASE’s Artist Registry, you still need to apply viaCaFÉ in order to be considered for this opportunity. DCASE’s Public Art Program reserves the right to commission artists who do not apply. 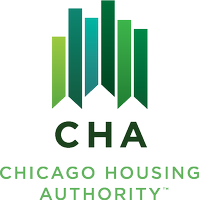 Chicago Housing Authority has utilized the flexibility of the Moving To Work agreement to test innovative, locally-designed strategies that use federal dollars to more efficiently help residents become self-sufficient and to increase housing choices for low-income families. 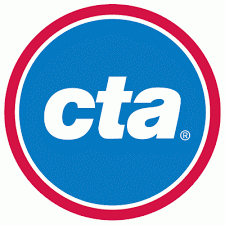 The Chicago Transit Authority is hiring for multiple positions. The Illinois Criminal Justice Authority is looking for qualified applicants for its Research Director who possess the creativity, pragmatism, ambition, collegiality, leadership and vision needed to make the agency’s Research and Evaluation Unit into the preeminent state-run research unit for criminal justice. The Research Director will report to ICJIA’s Executive Director and is charged with translating critical issues and research into policy that improves public safety outcomes and guides state and local criminal justice discourse. Looking for additional details? Please visit here. Every so often, the 7th Ward Public Service Office is notified of job opportunities, employment trainings, professional development, internships, and/or scholarships. We pass along these opportunities to our constituents. Below is a listing of a few of the notifications we have received. 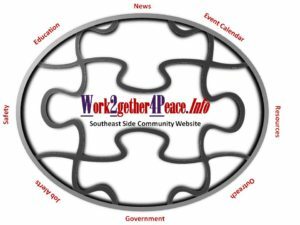 For a full listing, visit theEmployment Opportunities and Opportunities for Students pages on Iam7Chicago.com. Employee. Apply 8am – 11am and 2pm – 5pm at 676 N Clair St Chicago, IL Corner Bakery is hiring Catering Supervisors, Line Cooks and Cashiers. Apply 8am – 11am and 2pm – 5pm at 233 S Wacker Dr Chicago, IL Kozeny & McCubbin Illinois, LLC, a growing creditor’s rights law firm in Chicago, IL, is dedicated to providing the highest quality legal representation to our clients. Successful candidates will have a drive for providing exceptional customer service in all interactions. We are currently seeking a Mail Services Clerk to join our team. This is a full-time position looking to pay $10-$11 per hour. The primary responsibility of the Mail Service Clerk is to be a liaison to internal staff in the transfer and processing of all incoming and outgoing correspondence, as well as, assist other staff members by handling the copying, packaging and mailing of items to be sent. This position operates in a fast-paced environment of tight deadlines and strict standards. Apply online: https://home.eease.adp.com/recruit/?id=11264031 MBurger is hiring Cooks, Counter Servers and Cashiers. Apply Monday – Friday, 2pm – 4pm at 835 N Michigan Ave Chicago, IL 60611 Fogo De Chao is hiring Dishwashers. Apply Monday, Wednesday and Friday 10am – 11am and 2:30pm – 4pm at 5460 Park Place Rosemont, IL NIAS Inventory and Merchandising Service is hiring Inventory Counters for the Chicagoland Area. Pay is $11/HR. Will be counting inventory in retail and warehouse establishments. Must have reliable Car, Valid Drivers License, and Auto Insurance. Hourly pay, travel pay, and mileage reimbursement. No over-night travel. Must not mind early morning starts. Apply Monday – Friday, 10am – 2pm at 3612 Lincoln Hwy. Suite 2 Olympia Fields, IL 60461 708-679-1239 WallyPark is Hiring for Shuttle Drivers, Valets, Cashier’s and Supervisors! Hourly pay + tips. Minimum requirements: HS Diploma or equivalent required. Must possess the appropriate license, endorsements and/or medical certifications to operate a shuttle bus. A good driver’s record. Must have excellent verbal communication skills. Must be able to work in a team environment. Apply online: www.wallypark.com Equinox is hiring PT Retail Shop Associates. Please send your resume in Word format with “Part-Time Retail Shop Associate — Chicago” as the subject, along with a cover letter in your email stating your availability to Jennifer.Greeby@equinox.com Silverado is presently seeking a full-time and part-time Housekeepers & Laundry Aides to join our Memory Care Community team in Highland Park, IL. To apply, please visit our website atwww.silveradocare.com/join-our-team Or you can apply in person at 1651 Richfield Ave. Highland Park, IL 60035. Le Meridien Chicago – Oakbrook Center has the following openings: Housekeeping – Room Attendant. Apply Monday – Friday, 8:30am – 5pm at 2100 Spring Rd. Oak Brook, IL 60523 The Citizens Utility Board (CUB) is looking to fill an Outreach Coordinator position. Must have a Bachelor degree. Must have a valid state issued driver’s license. Must have a personal automobile. Email cove letter and resume to smoskowitz@citizensutilityboard.org Inspiration Corporation is looking to fill an associate Director of FamilyWorks position. 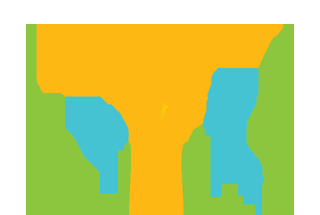 The Associate Director of FamilyWorks is a member of the senior management team and participates in senior-level planning and decision-making activities. This staff person is responsible for overseeing the operation of FamilyWorks, a new program designed to provide employment services to adult CHA residents in Ashburn, Auburn Gresham, Beverly, Chicago Lawn, Morgan Park, Riverdale, Roseland, Washington Heights, West Lawn and West Pullman. Four or more years of related experience and training is also required. Must have a Bachelor degree. A cover letter & resume are required to apply for this position. Please include “Associate Director of FamilyWorks” in the subject line of your email. Email: resumes@inspirationcorp.org Elim Christian Services is looking to fill a HR Training Coordinator/Trainer position. Responsible to coordinate training activities, conduct needs assessment, design and develop training programs, and teach a variety of classes on assigned areas as requested by Director of Human Resources. 5 days a week – 25 hours a week. Pay is $15/HR. Must have a Bachelor degree and at least 1 year of experience. Apply online: WWW.ELIMCS.ORG/CAREERS Thresholds has the following openings: ACT Specialist, Administrative Assistant, Cafeteria Attendant, Community Support Specialist and many more. To see full job descriptions, requirements and to apply go to www.thresholds.org The Safer Foundation has the following openings: Sector Manager, Mentoring Case Manager, Income Support Specialist, Basic Skills Facilitator, Customer Transport Manager and many more. 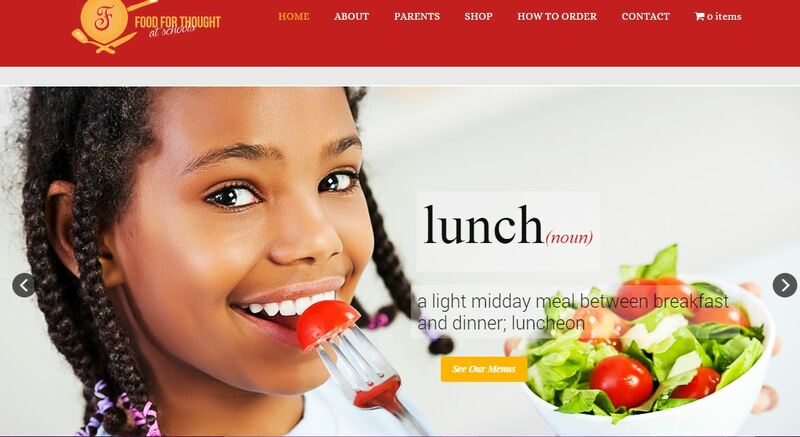 To see full job descriptions, requirements and to apply go to http://saferfoundation.org/about/careers Aramark at NorthShore University HealthSystem – Evanston is hiring Food Service Workers (FT and PT). Close to public transportation. Must apply in person at M-F 9:00am- 4:00pm: Evanston Hospital Aramark Human Resources (B101) 2650 Ridge Avenue Evanston, IL 60201 Express State St is hiring Stock Associates. Please apply online at www.express.com/careers Massage Envy Spa is now actively recruiting a Sales and Customer Service Associate for its Lincoln Park North and Lakeview locations. In order to learn more about this position, and to directly apply online, please click here: https://massageenvylincolnpark.hyrell.com/VirtualStepPositionDetails.aspx?TemplateId=15995 Massage Envy Spa is now actively recruiting a Sales and Customer Service Associate for its Bucktown-Wicker Park location. In order to learn more about this position, and to directly apply online, please click here: https://massageenvylincolnpark.hyrell.com/VirtualStepPositionDetails.aspx?TemplateId=13922 Wow Bao is hiring Counter Servers. FT and PT Positions. Apply Monday – Friday, 2pm – 4pm at 233 N Michigan Ave Chicago, IL DeVry Education Group’s Online Services team is actively seeking new colleagues with experience in customer/client service, marketing and/or recruitment with strong relationship development and building skills, who are interested in starting a new career in the educational field. Our Admissions Advisors, in this role work in a heavy outbound call environment, reaching out to 100-150 perspective students per day and are responsible for working with prospective students; from educating/marketing prospective students on our programs to qualifying them for enrollment. We are open 7 days a week to support perspective student inquires, flexibility is appreciated. Pay is $20.91/HR. Apply online: https://careerconnections-devryeducationgroup.icims.com/jobs/62464/customer-service-representative— admissions/job?mode=view&mobile=false&width=704&height=500&bga=true&needsRedirect= false The Hudson Group at Midway Intl. Airport is looking for Retail Sales Associates. Must be at least 18 years of age. Must submit to a drug screen and criminal records check. Must have a high school diploma/GED. Email cover letter and resume with “Retail Sales Associate” in the subject area tokminarcik@hudsongroup.com The Hudson Group is looking for an Overnight Driver for our Retail Warehouse. Must be able to work evenings-weekends-holidays!! Shift 7 pm-4 am. Valid Illinois Driver’s License/no CDL required. Pay is $14/HR. Must have a high school diploma/GED. Email cover letter and resume with “Overnight Driver” in the subject area to kminarcik@hudsongroup.com The Hudson Group is looking for a Warehouse Associate at O’Hare Airport. Must have a high school diploma/GED. Must have a valid state issued driver’s license. Email cover letter and resume with “Warehouse Associate” in the subject area to kminarcik@hudsongroup.com YMCA Metro Chicago is currently seeking Youth Development Instructors for our after school programs. We are seeking enthusiastic and passionate instructors to join our team! Must be at least 19 years of age. Must have a high school diploma or GED. Must have some completed college courses related to education or recreation OR 1560 clock hours of experience in a recreational program or youth program. 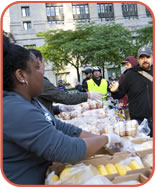 Apply online: https://careers-ymcachicago.icims.com/jobs/6800/program-coordinator–teen-programs/job All Saints is looking for Holiday support for the Black Friday weekend and the holiday season. This is for the All Saints store at the Fashion Outlet at Rosemont. If interested please email us at the following address. chicagooutlet@allsaints.com Aramark is now recruiting STARBUCKS BARISTAS to work in our Starbucks location inside the Donald E. Stephens Convention Center. What a great opportunity to pick up extra cash for the holidays! You will not be paid by Starbucks so don’t have to worry about running into overtime! The ideal candidate will have flexible availability & willing to work nights, weekends & holidays. Applications are accepted Monday – Saturday from 8am – 1pm in the Great Expoteria Restaurant 9301 W Bryn Mawr Avenue, Rosemont, IL 60018 Room & Board Open House. Thursday, November 6th. 8:30am – 9:30am at 55 East Ohio Street Chicago 60611. 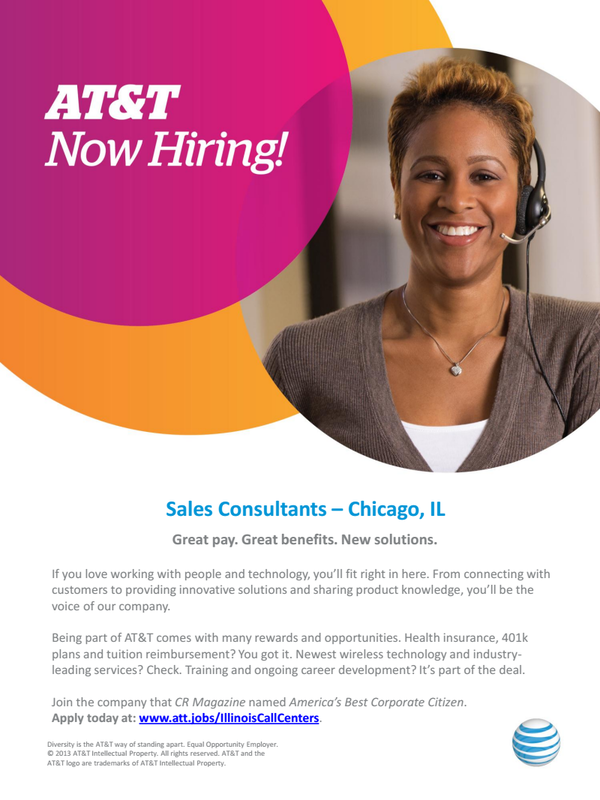 In anticipation of upcoming retail opportunities in 2015 for our Chicago, Oak Brook and Skokie store locations, we would love an opportunity to meet with potential candidates at our upcoming open house event downtown Chicago. 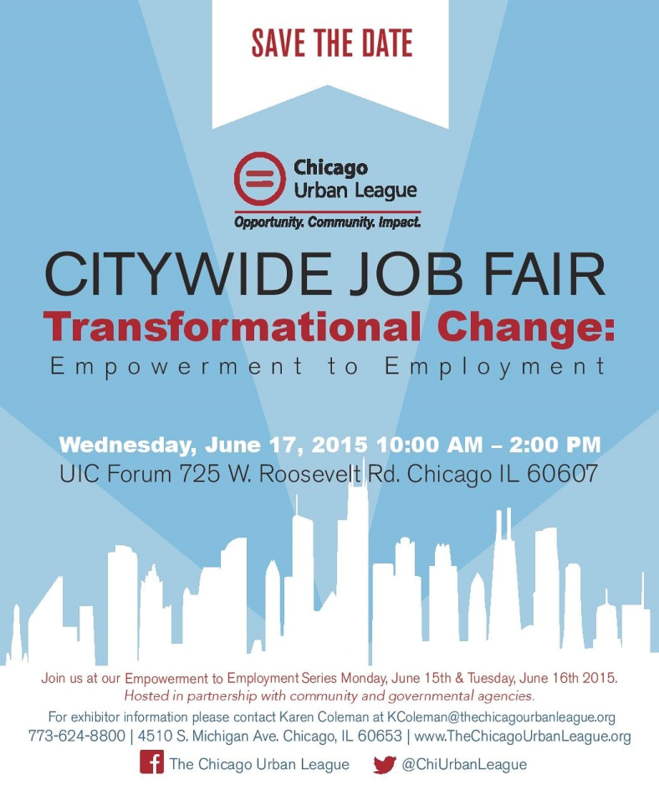 Volt Workforce Solutions Job Fair. Tuesday, November 4th. 9am – 2pm at 550 Warrenville Road, Ste 200 Lisle, IL. If you can’t make the open house, please give us a call and we can schedule you for another time. 630-971-9711. Are you looking to make some extra cash for the holidays? If so, please join us for an open house for seasonal jobs in the month of December. Our client is looking for full time help in moving and running packages during the entire month of December. The position will involve lifting and sorting packages, riding in a truck to deliver packages and placing packages at their final destination. We have multiple locations in the Northwest Suburbs looking to hire many seasonal workers. 1st and 2nd shifts are available and the pay is $12/hour. Some overtime may be needed as well. This is a great opportunity to make some extra money! You must also be able to pass the prescreening requirements. Akorn Career Fair. Tuesday, November 4th and Wednesday, November 5th. 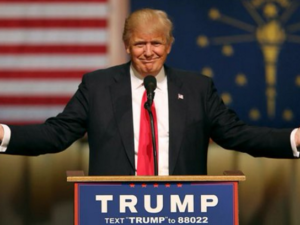 11am – 7pm at Holiday Inn Express 6161 W. Grand Ave. Gurnee, IL 60031. Open positions: Warehouse associate and Warehouse Supervisor. Learn more about employment opportunities and apply on- site. Come prepared to be interviewed and hear about Akorn’s hiring incentives. If you attend the Akorn Career Fair and are subsequently hired, you will be paid for an eight hour workday. Openings for both first or second shifts. Ingredion Incorporated (Bedford Park, IL) has several openings. Ingredion Incorporated. is proud to provide a competitive hourly rate of $18.00 per hour for Product Handling Operators and $21.90 per hour for Production Operator Mechanics. Email cover letter and resume to argo.hr@ingredion.com Village Eyecare is seeking a full-time Receptionist/Patient Care Coordinator for one of our three Chicago, Illinois locations. Responsibilities include greeting all incoming and outgoing patients, monitoring patient flow, answering telephones, scheduling and confirming patient appointments, processing insurance information & claims, processing payments, resubmitting rejected insurance claims, accounts receivables and communicating with doctors, staff, and patients. Village Eyecare offers a team-oriented work environment and competitive compensation package, with benefits including: medical, dental, vision, paid training, paid holidays and paid time off. To apply for this position, please submit your application via this link: https://www.optimizehire.org/apply-job?i=MTM5 and select the Patient Care Coordinator & Medical Billing (Chicago, Illinois) position from the Job Opening drop-down menu. VistaNational Insurance Group “Sales/Call Center Rep Job Fair. Wednesday, November 5th. 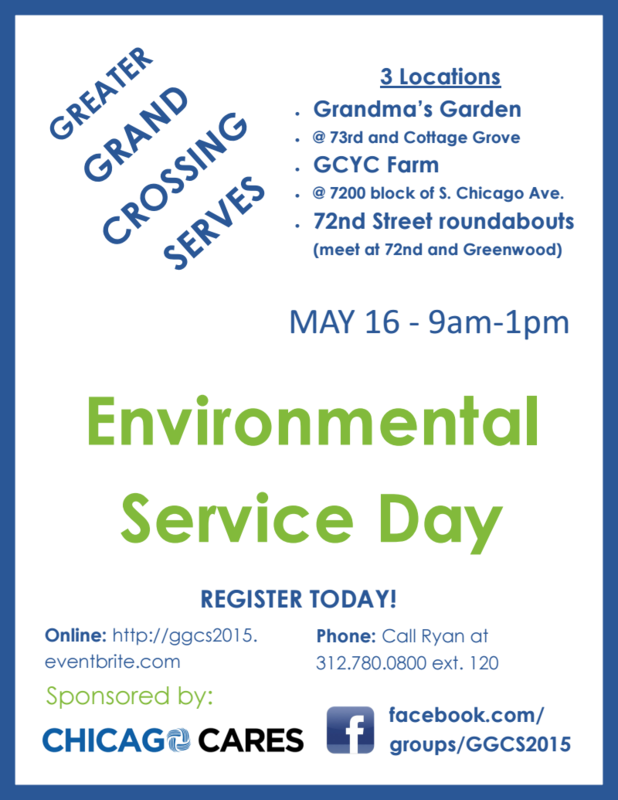 10am – 1pm at 1301 W 22nd Street Suite 600 Oak Brook, IL 60523. Pay is $12/HR – $14/HR. Part-time individuals for Inside Sales/Call Center Reps. Days Monday-Friday, 18-25 hours a week, with the potential to increase hours based on performance. – Must be articulate professional with proven track record of B2B phone experience. – Must be computer proficient and able to adapt to a web-based system. – Competitive hourly base plus commissions and monthly bonuses. Related Management has a great career opportunity for an outstanding Administrative Assistant at a wonderful 361 unit Section 8 / Tax Credit residential property in Chicago, IL. Pay is $12/HR – $13/HR. The Administrative Assistant will be responsible, screening incoming leasing inquiries, supply property information, tour apartment homes, track leasing prospects, accounts payable & receivable, general administrative duties, and special projects as assigned. Email cover letter and resume to RMCjobs@Related.com Best Value Auto Body Supply is hiring Warehouse Personnel. Must be able to lift at least 60lbs. Must be able to work Monday – Saturday. Bilingual English/Spanish is a PLUS. AM and PM shifts available. Apply Monday – Friday, 9am – 5pm at 4425 W 16th St Chicago, IL 60623 OR call 872-888-5760 for an appointment. Equinox is hiring Front Desk Associates for our club in Gold Coast! Specifically, we are looking for candidates to work the opening (4:30am) shift. Please send your resume in word format along with a cover letter in your email body to sean.allison@equinox.com with the subject title “Front Desk Associate — GC” Labor Temps, Inc. is hiring Staffing Coordinators. Must be bilingual – English and Spanish. Apply Fast & Easy! Click on the link below. The job application takes less than 3-5 minutes and can be completed from any phone or computer and includes a brief automated phone interview and 13 simple text questions. Labor Temps, Inc. job applications powered by Jobaline. Staffing Coordinator Apply Visit: http://jobal.in/ZfedNG Labor Temps, Inc. is hiring an On-Site Staffing Supervisor. Must be bilingual – English and Spanish. Minimum 2-4 years working in a manufacturing environment. Apply Fast & Easy! Click on the link below. The job application takes less than 3-5 minutes and can be completed from any phone or computer and includes a brief automated phone interview and 13 simple text questions. Labor Temps, Inc. job applications powered by Jobaline. On-Site Staffing Supervisor Apply Visit: http://jobal.in/13p5vym Sarpino’s Pizzeria Downtown Chicago is currently looking for enthusiastic, energetic cashier to join our team. If you have a big smile and a passion for teamwork, then this is for you! Requirements: Flexibility to work nights, weekends and holidays. Apply online: http://www.gosarpinos.com/careers/job-application/?id=157 Bockwinkel’s Food Market is looking for qualified Cashiers and Clerks to participate in a high volume hi-rise grocery store. Previous retail or foodservice experience is a requirement. Pay I $10/HR – $14/HR. Apply online: www.bockwinkels.com Dylan’s Candy Bar Job Fair. Friday, November 7th 12pm – 8pm and Saturday, November 8th 10am – 5pm at Gleacher Center 450 N. Cityfront Plaza Dr. Chicago, IL. New store opening. Open positions: General Manager, Inventory/Facilities Assistant Manager, Merchandising Manager, Assistant Sales Manager, Sales Supervisor, Inventory Supervisor, Sales Associate/Greeter, Inventory Associate, Maintenance Associate and Merchandiser.